"These mega-droughts during the 1100s and 1200s persisted for 20, 30, 40, 50 years at a time, and they were droughts that no one in the history of the United States has ever experienced," he said in a press release. "The droughts that people do know about like the 1930s 'dustbowl' or the 1950s drought, or even the ongoing drought in California, and the southwest today - these are all naturally occurring droughts that are expected to last only a few years or perhaps a decade. 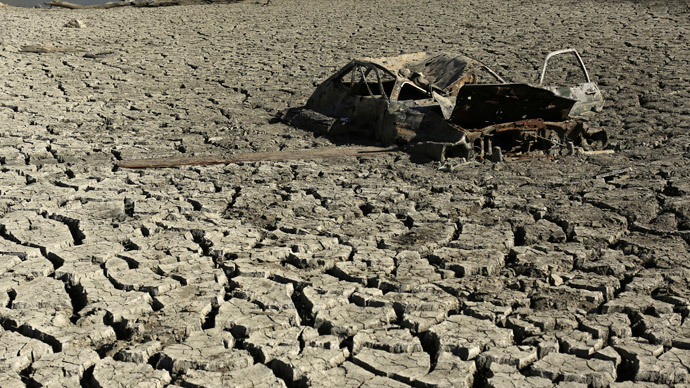 Imagine instead the current California drought going on for another 20 years," Cook added. “All the things we were hoping wouldn't happen five to 10 years ago are happening and I don't think we have sounded the alarm fast enough,” said Stephanie Castle, a researcher at the University of California-Irvine, told Slate. "I was honestly surprised at just how dry the future is likely to be," said another co-author Toby Ault, who is an assistant professor in the Department of Earth and Atmospheric Sciences at Cornell University. "I look at these future mega-droughts like a slow moving natural disaster. We have to put mega-droughts into the same category as other natural disasters that can be dealt with through risk management."